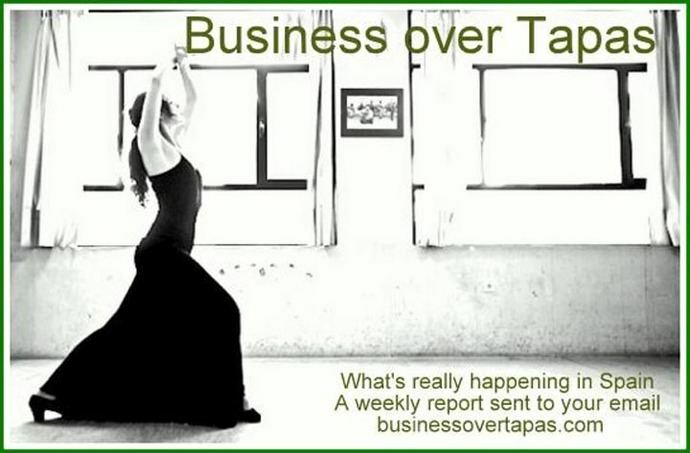 15FEB19.- For subscriptions and other information about this site, go to businessovertapas.com - email: businessovertapas@gmail.com - ***Now with Facebook Page (Like! )*** - Note: Underlined words or phrases are links to the Internet. Right click and press 'Control' on your keyboard to access. Business over Tapas and its writers are not responsible for unauthorised copying or other improper use of this material. Subscription and e-mail information in our archives is never released to third parties. There are several expat groups on Facebook, by which I mean, they call themselves that. 'Expats in Spain' might be one. Seek them out, they can have useful posts sometimes. I am in no doubt that these sites, with many others, receive critical messages every now and again from a recently arrived to Spain Brit who seeks to chastise them by erroneously saying in a pious tone: 'we are immigrants, not expats'. Do other European nationalities worry about such a thing? The Brits do. Expats (expatriates, having left the patria, the home-land, rather than ex-patriots, having, er, seen the light) are simply that, a handy self-inflicted name for us Brits and other nationalities who may want to join in, who live (in this case) in Spain. Many of us like to sententiously claim that we will learn the language, and we may make some effort to this end. But, it's particularly hard for Brits to learn a foreign language, especially if we are not in our first flush of youth, and, especially too, if we live in an English-speaking gated community while watching satellite TV and reading expat newspapers. How many of us expats know the first thing about our host nation's culture, history and cuisine (Business over Tapas readers aside)? Who do we support in an international sports event between 'our' country and theirs? We expats don't particularly want Spanish nationalization (or, we didn't until Brexit came along) and, nota bene, we are mostly worried about whether we could still keep our British passport with dual nationality. Maybe an émigré is a better and more elegant description. ‘A person who has left their own country in order to settle in another’. Dual passports are not a major concern for an immigrant. An immigrant is someone who wants to become a national. He will learn the language, and insist that his children speak it fluently. He will, on balance, be younger than an expat, with his life ahead of him. He will be looking for work. Perhaps some of the Brits could fall into this category, but probably not the ones you find on Facebook. I have an American friend of Italian descent. His parents came over from Calabria. He recalls that they would say to him over the dinner table in broken English 'you in America now, you speak American'. I know of a young fellow here who lives in rural Spain, whose mother is Spanish and whose father is British. He is said to speak two languages, learnt from his parents: Spanish and Broken Spanish. Most immigrants are known more fully as 'Economic Immigrants'. They move to a wealthier country to earn more and live better. While expats also move elsewhere to live better, they rarely do it for monetary reasons, and they are certainly never referred to as 'Economic Expats'. Perhaps it’s all just a semantic argument, with ‘immigrants’ seen by some as being ‘non-European expats’. Or maybe ‘expats’ is a useful collective term for Britons resident abroad. Howsoever, until the wretched British Government manages to commit national hara-kiri in late March, I shall continue to justifiably call myself (with your permission) 'a European'. Lenox Dixit. From El Mundo comes this: ‘The Supreme Court rules that the Junta de Andalucía may have been bypassing the law systematically for years with regard to the approval of urban plans by ignoring the environmental regulations and obviating the requirement for an Environmental Strategic Assessment, as required by state and European law when green-lighting planning projects, for anything from a special plan - to a Town Plan (PGOU)’. In short, urban planning in Andalucía since 2015 until today is in question and judicial certainty has disappeared. Some sixty homeowners on an urbanisation in Alcaucín (Málaga) cannot connect to electricity even though the transformer is outside their door because they lack paperwork. As the law stands they must wait for a town plan to be approved before they can be given a license of occupation. Unbelievable! Video at Axarquía Plus here. How does tourism affect our lives, asks El Periódico de Aquí. A Valencia councillor answers in an interview, looking at the good and the bad. A sample: ‘...There is no doubt that tourism generates employment, but all too often the quality of this employment is very poor, with temporary jobs, low salaries, un-reconcilable working hours and high seasonality. Uncontrolled tourism hinders access to decent jobs...’. Spain is always on the lookout for new attractions... or new types of tourism. Here we find the plan to attract visitors to four of Almería’s ‘centres of investigation’. El Mundo lists ‘The Calar Alto astronomical observatory, the Plataforma Solar, the Macael marble quarries and the greenhouses overlooking the Mediterranean coast are just four of the most internationally recognised Almeria research centres...’. Yes, there’s even a campaign: ‘Almería tiene ciencia’. ‘Government minister visits Alicante airport this week to see the new installations of passport readers that will record entry times of UK visitors after Brexit. (Non EU without residencia can only stay in Europe for 90 days every 180)’. From Fresh Radio here. El Mundo finds that the AVE stations are way over budget. In a dozen city stations, the costs have over-run to the tune of 186%, or 7,600 million euros. From 20 Minutos comes ‘Dia will lay off 2,100 workers in Spain after losing 352.58 million euros in 2018’. The supermarket chain is also examined by Wolf Street here: ‘...Put simply, Dia is about as close as a company can get to bankruptcy without actually being officially bankrupt. It is, in market parlance, “technically bankrupt”, meaning that it lacks the ability to pay its obligations and would most likely qualify for bankruptcy protection but is yet to file for it in a bankruptcy court. If Dia does go into liquidation, it will have knock-on effects not only for big Spanish lenders like Santander, BBVA, CaixaBank and Banco Sabadell and European heavyweights like Barclays, Société Générale, and Deutsche Bank, but also the ECB which holds at least €200 million worth of Dia’s debt. Due to Dia having been rated investment grade until October 2018, its bonds qualified for the ECB’s corporate sector purchase program, or CSPP...’. Other supermarket chains in Spain are, of course, doing much better. El Huff Post reports that one out of every four euros spent in supermarket shopping goes to Mercadona. Lidl and Consum are also both doing well says the article. All supermarket shares in a graphic here. ‘The nightlife sector is worth 20,000 million euros per year, representing 1.8% of Spanish GDP, and employs more than 200,000 people, especially young people, according to data provided by the Federation of Spanish Nightlife Associations (Fasyde)...’. Hosteltur reports on the business here. ‘More than 17 million Spaniards and 40 million foreigners, 50% of the international tourism that visits Spain, habitually spend on nightlife activities’. ‘Red Eléctrica, the company which manages Spain’s high tension electricity cables, has reached an agreement to buy 89.68% of Hispasat, the largest operator of satellite infrastructure by volume in Spain and Portugal, for 949 million euros from Abertis Infraestructuras. This acquisition will be financed by external debt and, therefore, without recourse to the shareholders. ..’. Item from The Corner here. Bankia now wants more details about their clients. From El Confidencial here: ‘Five euros a month for Bankia if you don't give up all your data: "It's barbaric, they're breaking the law." The bank's most popular account, the ON Account, requires its users to transfer all their personal data both to the entity itself and to collaborating companies or they will be penalized’, says the news-site. The right-wing press say that the protest against the Government held in Madrid this Sunday was a great success. The left-wing press say it was hopeless (and talk about 'la trifachita'). Here's the centrist El Huff Post on the job. 'The failed attempt to 're-conquer' the right and the extreme right in the Plaza de Colón. A Sunday of flags: a war of numbers, 'Viva España', 'Santiago Abascal for president' and hugs from friends(enemies)'. The article considers that the PP leader Pablo Casado was 'eclipsed' by the Vox leader Santiago Abascal. An excerpt: '...Mobilization? The PP and Cs had chartered buses for this concentration, which leaves powerful aerial images. But even giving as many as 200,000 attendees (the official figure is 45,000), it was not the instance of a paralyzed city or with rivers of hundreds of thousands of people as have been seen, for example, in the Diada in Barcelona. And among the attendees the most repeated call was: "I'm going to vote for Vox."...'. Is that what the PP and C's achieved on Sunday? ‘The main difference is that there is a third party disputing the leadership of the cause with the Partido Popular and Ciudadanos, and now it does so on an equal footing. Pablo Casado squeezed Santiago Abascal's hand, securing him as a potential partner, while Albert Rivera's plan to dilute in the group photo by wrapping himself in parallel in LGTBI flags ended up causing friction...’. Here is El Español (with ‘the shameful photo’ of the three leaders). Cuatro says that the photos were manipulated – there weren’t as many as had been claimed. Not that everyone who enjoyed the free bus-trip up to Madrid (paid for by the PP) went along to the protest. Here Cádiz supporters went to a football match instead. While the protest in Madrid may have been a damp squib, the Government of Pedro Sánchez is wobbling dangerously. Most sources now expect a General Election for April. The twin problems are the budgets, for which the PSOE cannot find enough support, and the issue of the Catalonian separatists on trial in Madrid. From Guerra Eterna comes: ‘The PP and Ciudadanos, with the invaluable help of Vox, have decided not to wait for the successful or unsuccessful budget negotiations and have launched all their divisions against Sánchez. From the moment Pablo Casado had announced that Sánchez was not the legitimate president and that he is a traitor to the homeland, it became clear that we were dealing with a Venezuelan strategy. Spain is not Venezuela -as before it was not Italy or Greece or, according to Rajoy, Angola-, but in the middle of the shooting, these differences no longer matter. If you are attacked from several sides, it will be better if you can respond or if you have a place to shelter...’. Then Sánchez has had to stand against attacks from Felipe González and Alfonso Guerra (senior PSOE figures from the past). El Mundo finds support for Sánchez from the Basque Country: ‘The PNV blames Casado y Rivera for creating a "nauseating climate" in their fervour to oust Pedro Sánchez’. Finally, on Wednesday the Government’s draft budget for 2019 was voted down in Parliament, leaving Pedro Sánchez scant choice but to announce a General Election. When? Maybe April 28th. From The New York Times here: ‘Prime Minister Pedro Sánchez of Spain lost a crucial budgetary vote in Parliament on Wednesday, most likely forcing him to call a snap national election and once again plunging the nation into political uncertainty linked to the issue of Catalan independence...’. ‘The Independents caused the Government to fall’, says El Mundo somewhat inaccurately. What stays, what goes with the draft budgetary proposals voted down? Here. El Huff Post explains here why no one wants elections (except Vox). They say, ‘The mistrust and suspicion that Sánchez, once again, is drawing them into a trap is the general feeling among all opposition parties’. Can Vox swing voters away from the PP and C’s? El Mundo runs an article titled ‘Doubt and Uncertainty in two million voters’. From LaSexta comes ‘Casado seeks to repeal the current abortion law to return to the earlier 1985 law: "If we want pensions, we have to think about having more children" he says. The president of the PP, Pablo Casado, has shown himself to be in favour of repealing the current law of abortion with deadlines, approved in 2010, and returning to the one approved in 1985 by the government of Felipe González, believing that it was "of consensus" and that "there was no need of change". Listen to his words in the video here’. El Español views the trial in Madrid against the Secessionists which began on Tuesday as ‘The 51 days that could have destroyed Spain: the trial of the 'procés' begins’. The national press is (understandably) united in its opinion regarding the plotters. The foreign press is rather more sympathetic to the Catalonians. Here’s The Guardian: ‘Catalan leaders' lawyer attacks 'vaudeville' case as trial begins. Madrid trial of separatists is seen as the most important since Spain’s return to democracy’. And of course ‘Spain says 'disinformation’ surrounds Catalan separatists’ trial. The Spanish ambassador to London speaks out in effort to convince world trial is not political’. The Government has quietly dropped the ‘relator’ (special rapporteur) plan for Catalonia. By voting against the Government’s draft budget, the Catalonian deputies in the Cortes have lost potential investment for their region amounting to an extra 900 million euros plus a reversal of another 1,500 million says ElDiario.es here. Barbary macaques remain in Gibraltar thanks to a quirk of empire’. An interesting item comes from Atlas Obscura here. Merca2 looks at the Edificio Windsor fire in more detail here. It has become Spain’s leading ‘conspiracy case’ since the skyscraper mysteriously burned down in 2005. The most fascinating villain in Spain is the ex-commissar José Manuel Villarejo Pérez, currently under investigation or linked to twenty-four inquiries, including a possible participation in the burning of the 32-storey Edificio Windsor in Madrid in 2005. Magnet lists the enquiries here. Moncloa looks at the Windsor conflagration here with the suggestion that the fire was to destroy evidence linking a leading banker to embarrassment (their papers and proofs on the subject have now been requisitioned by the Judiciary). From El Confidencial Digital comes: ‘The prosecution requests 47 members of the 'Hells Angels' to be seated in the dock. The Audiencia Nacional accuses them of crimes of criminal organisation, extortion and drug trafficking. Most of the accused are German nationals and operate in Mallorca’. ‘Juan Antonio Roca is out: the mastermind behind the historic Malaya corruption case in Marbella is freed on early release. Roca and his string of accomplices were accused of accepting bribes in exchange for building licences from a string of real estate promoters...’. The Olive Press has the story here. From Reuters here: ‘The Spanish government approved on Friday last week a decree to hire 1,735 new public workers to deal with the consequences of Brexit, particularly in the areas of border and customs control. The Socialist government wants the majority of these workers to be hired before March 29 regardless of whether or not Britain reaches an agreement with the bloc on leaving the European Union...’. From The Olive Press here (with video): ‘British expat Brexiters who appeared on Channel 4 news and said they would now vote to remain have received harsh backlash from compatriots online. It comes after the broadcaster visited the Costa Blanca to interview Brits living there about their opinions on the UK’s divorce from the EU. In the segment, one woman tells the interviewer: “I don’t think the Spanish would turn the English away. “They’re quite a big thing for their economy.”...’. Ten current fake news items, as revealed by Maldito Bulo here. Visitors cars are to be banned from the Balearic Islands from 2025 if they are diesel motors and from 2035 if gasoline cars. Local residents will not be affected by the new rules, says ElDiario.es here. From The Good Tourism Blog comes a fuller explanation: ‘Balearic Islands’ new climate change law to reduce reliance on tourism’. Hard times at the Parque Nacional de Doñana in SW Andalucía: ‘The water-pirates impose a regime of fear to maintain their plundering of the Doñana aquifer’, says ElDiario.es here. Wishful thinking? ‘At last a government seems to want to take sport seriously in Spain and intends to carry out a new Sports Law, as the current one has been in force for almost three decades and the only thing that has served has been for a good part of the sports federations to turn themselves into private fiefdoms where their presidents and their followers have made themselves comfortable while many sportsmen and women have gone through hardship...’. From El Blog de Jaume Soler here. Not that everybody who is on the padrón has 'residency' (you can register with a long let, or even not bother as you like), but the official number of Brits registered as living in Spain, with the number taken from the padrón, as noted by the Spanish statistics agency (INE), is 223,251. Of these, 89,133 are sixty-five or older (40%). Details found at the INE here. From Sur in English here: ‘"We want our British residents to have their own voice". The Socialist mayor José Ortiz García reveals his vision for Torremolinos and the part the British community will play in the future of the town’. Animal Brexit: ‘Coming with your pet to Spain is to become more complicated for British tourists. Entering the UK with a pet is no easy task, but coming to Spain following a Hard Brexit is going to be even more tiresome. If an orderly departure is not agreed with parliamentarians, those coming to the EU from the UK will need almost half a year's notice to travel with an animal. Microchip, vaccines, veterinary approval... the list of requirements will be long’ says ElDiario.es here. Taxi-users in Madrid are evidently annoyed about the recent strike that lasted sixteen days and VozPópuli reports that use has fallen in the last week by around 30% compared with last year’s figures. ‘All the trade union organisations with representation in the Provincial Commissariat of Almería have published a letter in which they denounce the cuts in the number of agents stationed in the Almería barracks while the arrival of boats to our coasts has increased massively. Thus, while in 2015 the Police received a total of 1,469 immigrants aboard 82 pateras, 2018 closed with 13,105 people arriving in 412 precarious boats. These figures have not ceased to grow, and in January 2019 the number of migrants received had doubled to 964 compared to 468 in the same month of 2018...’. From Almería Hoy here. An article here about the wealthiest Venezuelan exiles living the Life of Riley in Madrid. ‘Spain deeds Morocco the Gran Teatro Cervantes in Tangiers. The Government approves the "irrevocable donation" of what was the largest stage space in North Africa provided it is restored by the Moroccans’. El País reports here. The top five cities to visit in Andalucía. Arunas Travel Photography has an article here on Seville, Málaga, Cádiz, Granada and Córdoba. From The Local here: ‘In pics: 18 photos that prove Benidorm is beautiful’. We asked some Europeans, living in Spain, whether they thought of themselves as expats or immigrants. No because in France the word expat do not really exist in the same way. We have expatrier who is a person who have left France to live in a foreign country but in a foreign land you are an immigrant, meaning you can only to be an expat only from the view of the French in France but abroad you are an immigrant. Un saludo, Pascal. No. A Spaniard in Holland is an immigrant, so a Dutchman in Spain is too, same difference. What would be the difference being an expat or immigrant? Arno. From The Local comes this ‘...Let’s start with the “e” word - most of the Brits I know hate to be called “expats”. The term comes with such negative connotations. It implies that we are different: better than other immigrants (foreign ones, that is! ), simply because we’re British and, therefore, superior to everyone else. Please call us what we are – immigrants, migrants - and don’t differentiate us from EU citizens living in the UK. We’re all in the same boat, although our crew is friendlier and the weather milder here...’. Sue Wilson – Chair of Bremain in Spain. ‘Life is full of surprises’, says El Español here. ‘Inés Arrimadas (Ciudadanos leader in Catalonia) admitted in the recent Jordi Évole interview that Extremoduro, the heavy rock band of the nineties, is the group that she has seen the most times live. Here they are (in a lyrical mood) with ‘Locura’ Transitoria .